Most of the basic and mid range mobile devices in the market are Java Phones. 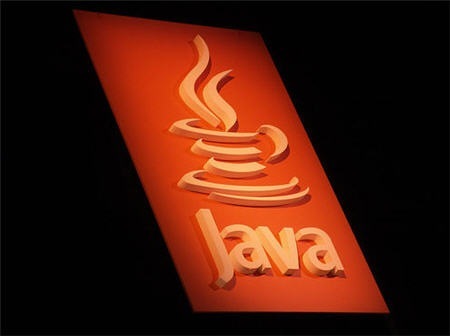 They don’t support multitasking but there are millions of Java Apps created by Java Coders worldwide. Here are the Top 5 Java Apps for your Java Phone based on the worldwide survey. You can download Snaptu for Java mobile here. Opera Mini was and again the Top Symbian App. It have many boons for Symbian Lovers. Opera Mini uses Opera Servers to route the webpages to our Symbian Device, also it have a very cool 80 % data compression technology. This is a very handy browser and as a life saver for the 2G Internet Users. Apart from this Opera was the first one to bring pointer based mobile surfing on Java Mobile Platform and also features like cookies and password saving. You can download Opera Mini for Java mobile here. Same as Opera Mini, its an Internet Browser with many amazing features. There is a very tough competition between Opera Mini and Bolt, We would like to recommend you to keep both the browsers as we never know that which one may work fine for your work. Also, sometimes its handy to use the Half Screen Zoom feature of bolt. You can download Bolt for Java mobile here. As the name suggest. eBuddy means say electronic buddy, it lest you be in touch with all your buddies in an electronic way via your mobile phone. It is an IM Client for everything under one roof, from Rediff, Yahoo to GTalk and Facebook. Small and very useful Java App to be in touch with your world anytime and anywhere. You can download eBuddy for Java mobile here. Social Networking is the Key Feature of this App. It gives you all under Social Networking under one roof. You can use your IM’s, VoIP, Twitter, MySpace, etc Social Networking sites with this cool app. It have a nice tabbed interface to ease your work and never confuse you. It can also flawlessly access your phones Camera and File System, plus have a very comfortable UI. You can download Nimbuzz for Java mobile here. Along with this Apps, there are many more and also I would like to share a few more names like Lifefeeds, Flurry, KD Player, Mixit, Wattapad, etc. Able2Extract Professional 11 Review: Edit, Annotate, Redact PDF Files. Best Performing Tablets To Buy In October – Fire HD, Nexus 7 or Galaxy Tab? Samsung Galaxy Note II With Dual SIM? IS THAT Zubin Rathod’S ACTUAL PIC?!?! @ Hemu Please don’t make stupid comments on our site, we only approve legitimate ones. I have mentioned solution to all your problem in that article, and you are making small mistakes in hurry. Read it carefully & follow. And if it does not work, then I can’t help you anymore. This Post is very good.I liked this Post. I used this post. It’s Inspired me. keep more post on this topic, thanks.